Beautiful Enough for. :Golf, Tennis, Riding, Boating and Sailing. PS. Try wearing while traveling. 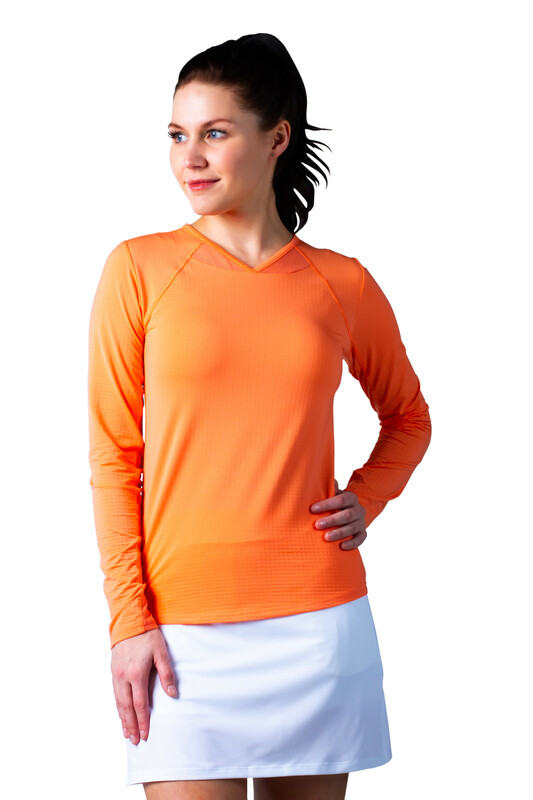 Our long sleeve tops keep you cool, yet protect from the air vents on a plane. Easy Care. 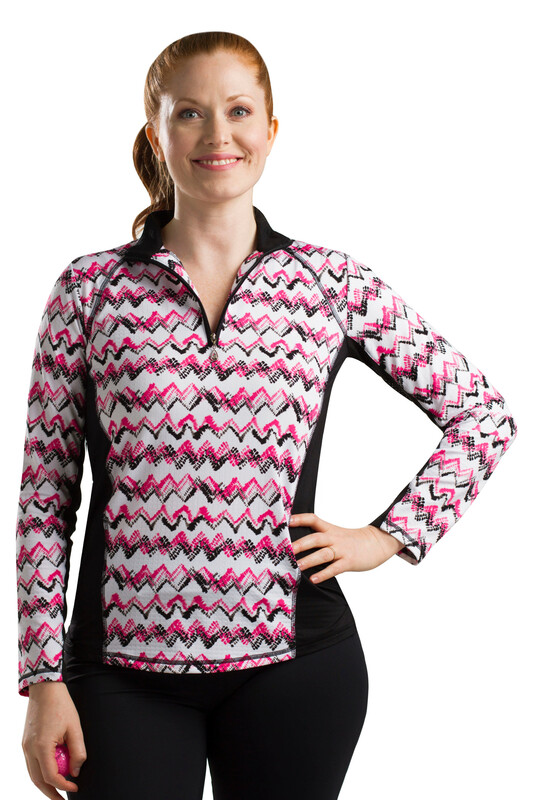 :SanSoleil's UV protection lasts the life of a garment. It never washes out. Mock Neck Sun Protection. 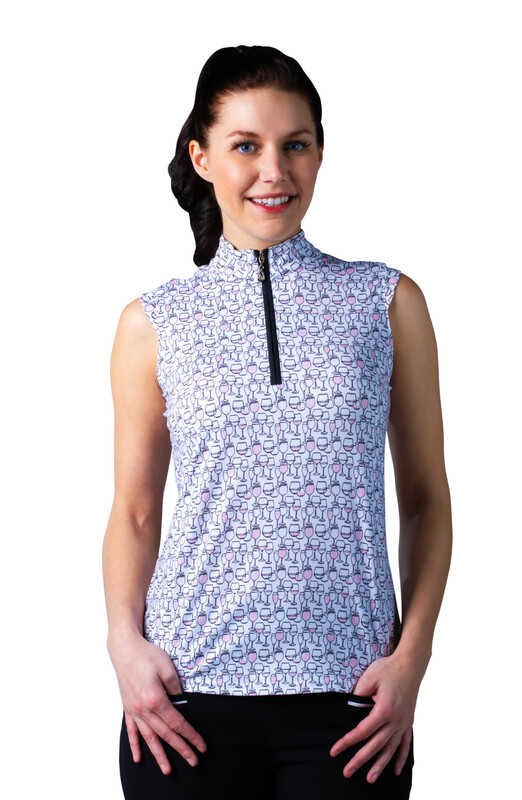 : Mock Neck Collar Stand Stays in place during play, protecting the back and front of the neck from the sun's aging rays. Permanent Cooling. :SanSoleil's SolTek ICE cooling properties never wash out. They remain constant through an entire game or match. SolTek ICE. SanSoleil's New UV 50 Cooling Fabric. :SanSoleil's SolTek ICE is created with 85% Cooling Nylon and 15% Athletic Stretch Spandex. The two highest quality yarns of their type anywhere. SanSoleil's Newest Cooling Fabric SolTek ICE. 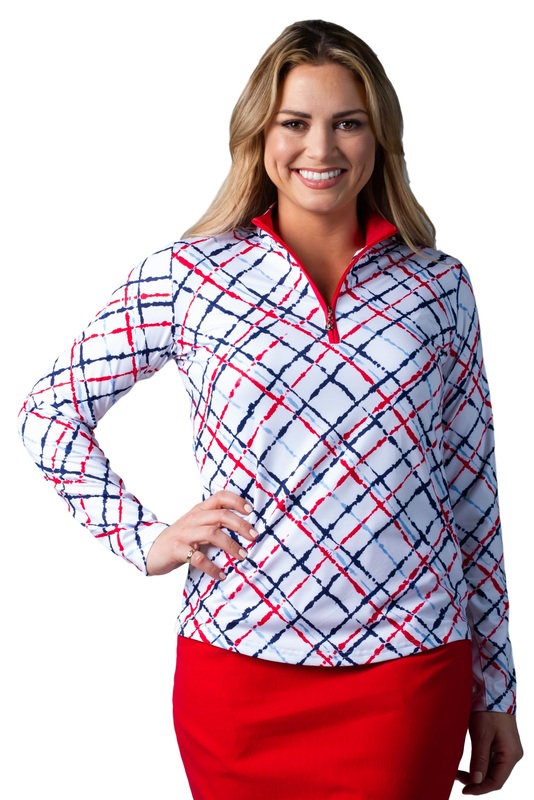 SanSoleil combines Super Cool Nylon with SanSoleil's mesh inserts and quick cool technology to create the most comfortable fabric for golf, tennis and sport!